This is a total standalone that builds on the character Prunella Smith, who appeared in Tahlia Newlands earlier metaphysical, mixed genre delight, "World Within World's". This one is again a weave of differing themes and stories that interlink based around the thoughts, life and writing of the author Prunella Smith. Each of the main story elements would work as independent short stories. These superficially independent threads are spliced together into one mystical reality. The binding themes are ultimately metaphysical. Each of the four main plotlines run as strands in Prunella's possible past and certainly present being. Actually the book reflects, openly from a deeper level, many elements of Newlands real life that are flickering away in the background. Prunella isn't Newland, but she might be in some parallel existence. The Australian bush, cats, steampunk, crafts and Buddhism continually bounce around the complex reality that is the real author. All fiction carries some sense of the author. This one does everything but try hiding the connectivity. The beating heart of the book is classic romance, which is always, quite unavoidably, deeply personal. Possibly I'm not even deep enough yet, because there is another even stronger binding theme than romance, that being of female emancipation and the associated problems of finding real psychological independence from cultural and emotional ropes that affect all of us. The point of the book, as I read it, is that Newland is exploring different aspects of herself, not through introverted memoir but rather through extrovert expression in her layered fictional plot inventions. We have Newland herself, Prunella, Nell and Daniela, all giving us insight into each other and into one spiritual female whole. The stories strongest plot protagonist is also female, though, classically, true evil only rests in a male persona. We must excuse that device, as that is a more than fair reflection of the physical worlds in which most of us have always lived. The relative weaknesses and strengths of the sexes are after all the whole social history of mankind. The book is about both spiritual and physical emancipation. Male readers need not be put off by this review. We generally come out of these stories well. The romantic spirit wins through, but not without clear reflections from real life. This is a beautifully written and intelligently crafted book. It is at once, spiritual, contemporary, historical fiction, a steampunk thriller, speculative fiction, philosophical and a social commentary, and above all else, a classic romance. We are still in worlds within worlds, such that at finish I'm not sure if some sort of spiritual 'Buddhism' is driving the author, or the author is demonstrating her own magical realism. 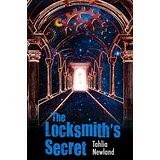 You may have to read several of Newland’s books before you can make any deep judgement. I've read them all and still can't be sure.